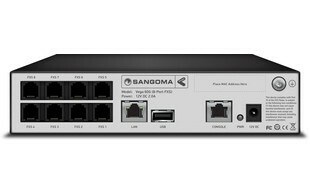 The Sangoma Vega 60G media gateway enables you to seamlessly connect exisiting VoIP and PSTN networks together without the need to change your infrastructure, saving you both time and money. 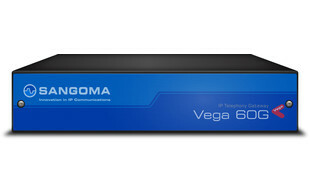 Ideal for a variety of applications, Sangoma offer an array of Vega 60G gateways to suit businesses of any size. Simply connect your analogue or BRI lines to the Vega 60G device and it will automatically handle call processing, transcoding and translations between the VoIP and TDM networks. Alternatively, the Vega 60G can be used to connect analogue lines to an exisiting VoIP PBX or SIP trunk provider. Plus, with added TR-069 support, service providers can now manage these gateways remotely. Vega 60G media gateways support ETSI BRI and standard loop start signalling. They also have proven interoperability with a wide range of existing telecommunications and VoIP equipment. All VegaStream gateways can support SIP, H.323 & T.38 FAX. 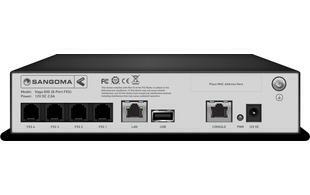 The gateways can be configured for different country requirements, such as tones and line impedance.